This is a great 2-day event across Paisley and Renfrewshire with over 50 buildings taking part, Doors Open day Paisley. The Brediland Allotments were established in 1916, local knowledge states it was gifted by a generous farmer. There are 41 plots of various sizes with a section for pigeon lofts. Over the years the allotment has changed from a men only past-time to having more women, families and even the local nursery starting to grow their own food. recent years. As a result, Renfrewshire is starting to see the development of a number of innovative community led projects to allow people to start growing their own fresh produce. Therefore today’s visit is an opportunity to learn more about the secret world of allotment gardening, pick up some tips on gardening which you might apply in your own garden or even gain inspiration to start a community gardening project in your own neighbourhood. A stunning medieval gem, restored in the late 19C and early 20C and now with a sumptuous collection of 25 stained glass windows by 15 different artists. Tower open, access to parts of the Place of Paisley not normally open to the public. See the wonderful 10th century Barochan Cross. Note the archaeological dig on the Abbey Drain, in Abbey Close. housed the engines from which drive was taken to work the equipment on each of the four floors. The iconic footbridge across the White Cart, built around 1880 is a fine example of a bow string trussed footbridge with wrought iron railings. The Prince’s Regeneration Trust in collaboration with Renfrewshire Council Planning and Transport Services, Morrison’s PLC and Historic Scotland contributed £590,000 to its restoration by Heritage Engineering. Built by the Town Council as Paisley’s first post-reformation church, the Arts Centre was a place of worship for nearly 250 years until it was converted to its present purpose in 1987. In keeping with Arts and Museum’s royal theme. The Centre will be running a drop-in arts session at which you can fashion your own crown or jester’s hat (11.00-15.00). Reference library by John Honeyman, 1868-71. Lending and Children’s Libraries: Honeyman, Keppie and Mackintosh, 1904, with extension by Keppie and Henderson, 1933. Today’s reference library was the second free municipal library in Scotland, 3 years after Dundee’s. Charles Rennie Mackintosh drew the plans of today’s lending libraries in 1902. While the exterior respectfully matches the Greek Ionic of the 1868 Museum and Library by his mentor Honeyman, inside Mackintosh’s influence can be seen in the finished building in the bookcase friezes and glazed screens, the doors’ oval glass panels and in the roof trusses. The library holds amazing archives of maps, photographs and drawings and additional exhibitions and competitions will run on the day. This is a fantastic opportunity to take a peek inside an active fire station. Get up close to the engines. the Broomlands church being the one open on Doors Open Day. Organ music will be played throughout the day. Built as the clerks’ dining hall for the Ferguslie Thread Works, see fine stained glass stair window. Purchased by the Masons of Paisley in 1956/57. 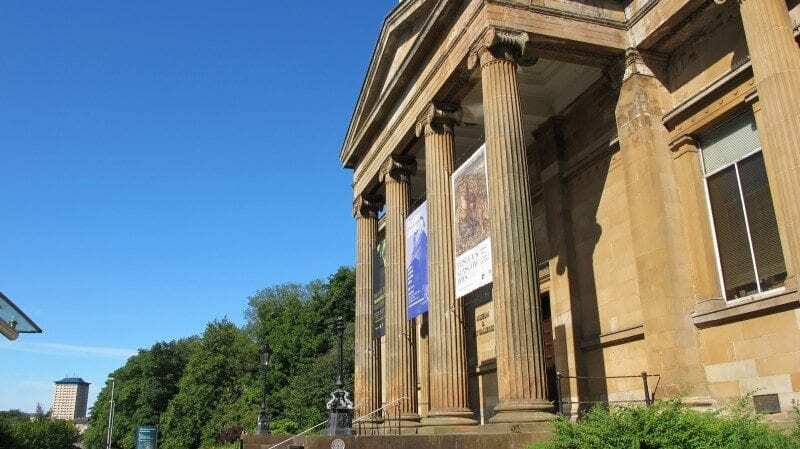 Museum & Galleries: uplifting neo-Classical palace of the visual arts, gifted by Sir Peter Coats. The museum houses a number of fine collections including the largest assortment of Paisley shawls in the world.Observatory: A solar telescope, Alexander Stoddart’s bust of Newton and painted glass windows depicting famous astronomers can all be found in the observatory.Open on Sunday 14.00-17.00 for the collection of prizes only. Museum & Galleries: there will be a royal themed treasure hunt and colouring activities on Saturday. Observatory: Guided tours will be taken at 11:30, 12:15, 15:15 and 16:30 (bookable at museum reception). More than 10,000 people used to wind and bind thread for J & P Coats in this imposing A-listed building. Six tall floors high in red brick, 18 bays long, with stair towers topped with landmark copper roofed lanterns. The building now functions as a business centre and an area of the ground floor has been provided rent free for the development of a museum devoted to the thread industry of Paisley, run by volunteers. The ground floor’s museum showcases an archive of photographs that offers a glimpse into the life of a mill worker. This substantial classical building was gifted to Paisley by the Clarks, one of the town’s wealthy mill owning families. It houses a suite of grand halls and rfunction rooms and the views of the Abbey from the first floor Loggia and Balcony are stunning. The Town Hall has been at the heart of Paisley’s artistic and civic life since it opened in 1882.Disabled access via Gauze Street entrance. Royalty will be the theme of the day in the Town Hall. You will be able to dress up as a prince or princess, king or queen, and pose in front of a green screen backdrop for a photograph that you will treasure forever (11:00-15:00). Allan’s Snack Bar is one of Paisley’s most historic and famed fish ‘n’ chips shop, and is a design gem as well. This is a good example of an early Scottish Methodist chapel. The church was purchased by the Swedenborgian Church in 1860 for £600 and was formally opened and dedicated on 15th Septem-ber 1861. In 1868 the interior was remodelled and new pews, a pulpit and stained glass windows were instated. The stained glass cost £103 and was designed by the artist Sir Noel Paton RSA, whose parents belonged to the congregation. A documentary film produced by the Swedenborg Society discussing the life and work of Emanuel Swedenborg will be shown and there will be a quiz and drawing materials for children. The venue will host live music on both days. This astonishing addition to Paisley’s skyline is a fabulous distortion of antique classical forms, known to locals as the “Porridge Bowl”. Originally a school bequeathed to the town by a local grocer, it has been converted into flats. The central atrium, with its statue of Diogenes by Alexander Stoddart, will be open. Wheelchair access (difficult) assistance needed. The iconic walkway across the White Cart, built around 1880, is a fine example of a bow string trussed footbridge with wrought iron railings. The Prince’s Regeneration Trust in collaboration with Renfrewshire Council Department of Planning and Transport, Morrison’s PLC and Historic Scotland contributed £590,000 to its restoration by Heritage Engineering. The church’s steeple is one of the most pronounced on Paisley’s skyline. There are also seven notable stained glass windows: two by Oscar Paterson c. 1918; two by Alec Walker c. 1909 and 1921; and one each by Gordon Webster, 1951; Sadie McLellan, 1973; and John Clark, 1996. Sculpture by Archibald Dawson. Reinforced concrete skeleton clad in clean-cut sandstone, this 1920s temple to child-care is fitted out with Italian marble. The building is in full use, but the entrance hall with Dawson’s busts of donor’s brothers and amazing staircase are open for inspection. It is one of the most beautiful buildings, inside and out, in Paisley. ‘Revisiting The Russell’, a 1920s themed event inviting three generations of Renfrewshire to share their memories of the Russell Institute, will be in full swing on the day. There will be prohibition-style cocktails, Charleston dance classes, an auction of opus couture dresses and a live jazz band with Charleston dance performances. Designed by Pugin & Pugin, decorated Gothic in red sandstone. Post war stained glass above the choir and in the apse. Church completely restored, including Watt organ. View a display of Burns and Tannahill memorabilia. The church was named in honour of two men who were hung at Paisley Cross in 1685 for refusing to renounce the Covenant and acknowledge the King’s supremacy. The building is now the headquarters of the 7th Paisley (JNI) Scout Group. Activities will include archery, a climbing wall, a bouncy castle and face painting. Rare Art Nouveau pub with dark joinery, stained glass, cosy snugs around beautiful top lit rear lobby. A ten flat tenement towers above like an Arthur Rackham fantasy. of the most powerful compositions to be found in Paisley. Music will be playing and tours given on the day. Wasps Studios is a charity that provides affordable studios to support artists and arts organisations, and the units in Paisley have been operating for over 20 years. Caroline Watson will be opening up her studio for an exhibition of her multimedia artwork. Karen James will show diversity in claywork by holding a hands-on demonstration. Built around 1930 this is a delightful Art Deco building in the style of Thomas Tait which has in the last two years been refurbished into a community sports centre, housing a dance studio, state of the art gym and changing facilities for the synthetic football pitches which are adjacent. Its authentic balcony, downstairs reception foyer and gorgeous outdoor balcony make it an ideal function space for weddings, christenings and parties as well as being an attractive hub for the whole community. Renfrewshire House is Renfrewshire Council’s Headquarters building which, in addition to its refurbished open plan offices, features a new Customer Services Centre, Marriage Suite and Council Chamber. Its focal point is the new Chamber which is suspended over the public service desks and is elliptical to embody the principles of equality and inclusive debate in local democracy. Customer Services and Council Chambers open. 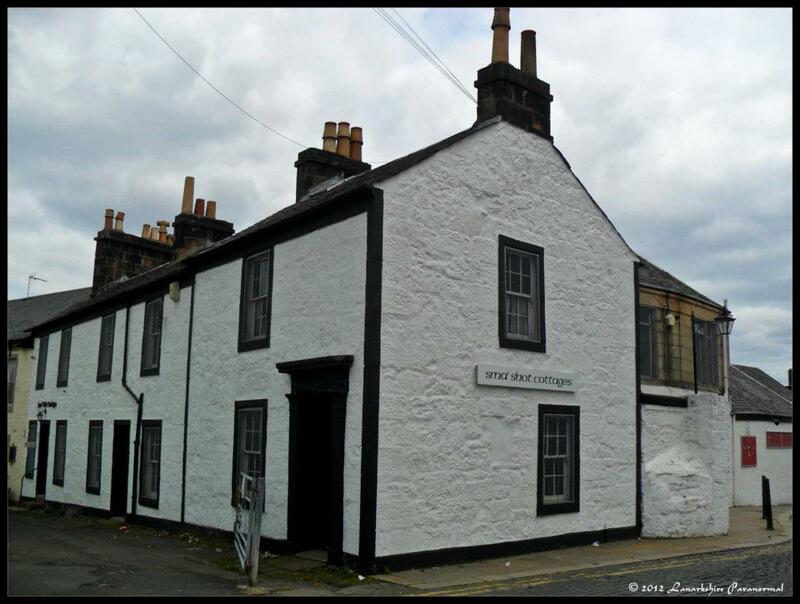 Headquarters of the energetic Old Paisley Society which has restored these cottages as a museum. 18th century weavers’ cottage and loomshop, plus Victorian interiors typical of Paisley’s historic 19th century development. The Victorian interiors tell the story of Paisley’s 19th century development. (Wheelchair access to lower floors only). Muscular Gothic revival dominated by a tall, strong steeple. A landmark but also a building of considerable architectural merit. Almost certainly this church and the accomplished treatment of the cruciform plain interior helped to win Blanc the commission for the Coats Memorial Church. Stained glass throughout the church mostly by A Ballantine & Gardiner. There will be organ music and the opportunity to try your hand at handbells. Known as the “Baptist Cathedral of Europe”, this Gothic church forms the climax of the view along the High Street. The opulent interior has been excellently preserved and hosts sculptures in oak, bronze and marble. The Victorian vestry has restored stencilling and lavatories. You will be able to take in the artful surrounds to the sound of organ music. The Paisley Photographic Society will also be exhibiting their members’ photography.